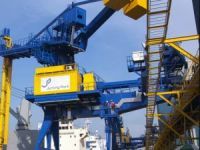 Nicolas Sartini, who suggested this week, not without hesitation and misgiving, that cargo volumes between Europe and Asia could recover in the second half of next year. Recovery! You want a recovery! The reaction of Bumble the beadle to Oliver Twist"s request for a second helping of workhouse gruel comes to mind. You can almost hear the howls of outrage provoked by the simple utterance of the word in a liner shipping industry still soaking up the pain caused by the collapse of rates and volumes on its main trade lanes. In this shipping industry take on the Charles Dickens novel, Oliver is played by CMA CGM"s head of east-west lines, Nicolas Sartini, who suggested this week, not without hesitation and misgiving, that cargo volumes between Europe and Asia could recover in the second half of next year. He made no claim to knowing more than the next box carrier about the likely performance of the market, acknowledging that several scenarios were possible. But he decided to stick his neck out nevertheless, saying, ?What seems to us plausible is that we should have a quiet soft first half next year followed by recovery in the second half.? Why so? 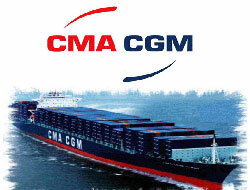 As always, China is never far from the minds of the senior management team at CMA CGM, who have been encouraged by the series of measures taken by the Chinese leadership to stimulate the country"s export performance. ?We see that, on the Chinese side, there has been quite a lot of reaction,? said Mr. Sartini. ?We are not yet seeing the effects but we are seeing stimulation of exports.? Mr Sartini acknowledged that stimulatory measures did not automatically mean export recovery. ?Chinese goods must be competitive and there must be the demand in Europe to buy them,? he said. ?These two factors must be put in place.? There is no evidence at this point to say that this is likely to happen soon. So is Mr Sartini just whistling in the dark to keep his spirits up? He did have another argument to back his belief that recovery could only be a certain time coming ? the behaviour of the Asia-Europe market in the past. 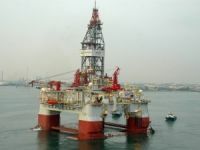 He recalled past market slumps in 2000-2001 and 2005-2006, which he said had lasted nine months and six months respectively. The argument is worth what it is worth. Its validity depends on the extent to which you think that the current slump can be compared to the previous two. Many would say that they cannot and would doubtless argue that the current downturn can be expected to match the longevity and vigour of the boom which preceded it. However, Mr Sartini is arguably someone who has his ear closer to the ground than most and there is something to be said for listening to those who are out on the ground as opposed to those whose principal source of information is their computer screens. His clinching argument, moreover ? if clinching argument there can be ? is that the liner shipping industry has already done a great deal to restore supply and demand balance to the Asia-Europe trades. He calculated that 18 services representing some four million teu had been withdrawn from the market since August. ?It is clear that at one moment or another we are going to return to balance,? he said. ?I believe that we are not far from balance at the moment.? 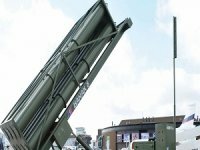 Indian Navy to Receive More Israeli Missile Defence SystemsIndia’s state-owned company Bharat Electronics Limited (BEL) has awarded Israel Aerospace Industries (IAI) an additional, 777 million dollar contract for the delivery on Naval Barak 8 surface to air missiles for the Indian Navy. Jurong Port, Oiltanking Team Up on New Liquid Bulk TerminalSingapore’s Jurong Port Pte Ltd and liquid bulk handling and s Oiltanking Singapore Limited have signed a joint venture agreement to develop, own and operate a new liquid bulk terminal that will be located on 16 hectares of existing land in Jurong Port. 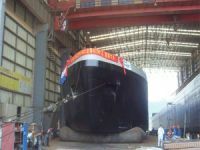 Newbuilding Orders Focus on TankersTankers are still the main focus of ship owners who are willing to shell out the necessary money to move forward with newbuilding orders. 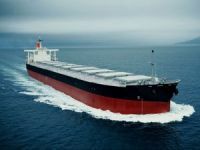 Capesize Market Stops Falling, Rates Halved in Less Than a MonthThe capesize dry bulk market finally stopped falling on Friday, after rates have been more than halved in the space of a few weeks. 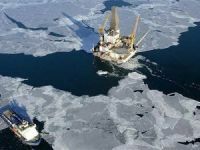 Obama Defends Arctic Oil DrillingUnited States' President Barack Obama defends his decision to allow Royal Dutch Shell to drill for oil in the Arctic Ocean.